There will come a time when things get worse, even when you try to make them better. Optimism is an attitude toward storms, not exemption from them. Don’t be startled when skies grow dark and waves get high. Any form of optimism that blinds leaders to dark skies and stormy seas is perilous. Leaders who never screw up aren’t worth following. Optimism is confidence, not exemption. Optimism believes storms yield benefits. Everyone who owns their failures learns empathy for others. Blaming blocks growth. Empathy enables connection, boldness, and getting up after falling short. Sailing through one storm builds courage for the next. Quitting in the storm short-circuits your opportunity to embrace your best self. Isolation is dangerous when skies are dark and seas are high. Temptations to close your door are triggers to open it. Unplug your ears and open your heart in the dark. 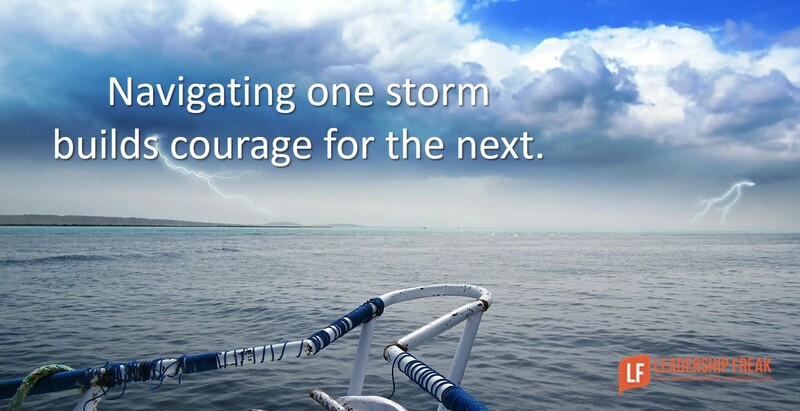 Optimistic leaders maintain an outward mindset while navigating storms. Own the consequences of your failures, but don’t circle the drain. Remorse for causing harm is healthy, but bags of guilt crush the spirit. “Woe is me,” might seem noble, but it’s self-centered. Address issues quickly. Lean into the wind before it becomes a hurricane. Avoiding turbulence only delays the storm. You’re less likely to panic after you’ve navigated a few calamities. Storms reveal who you are. Raise your hand when you fail. “Yes, I screwed up.” The way you deal with failure exposes what you believe about yourself and others. How might leaders benefit from dark skies and high seas? Gee Dan, I’m raising my hand, because we are human and humans make mistakes! The key for me has the been the learning process and achieving the best result through the turmoil. Acknowledgement of our mistakes is truly “humble pie”, maturing past the inevitable mistakes makes us into who we are and will become. More importantly the journey will change course many times, we just have to learn to “bend with the flow” more than impeding the flow. Thanks Tim. The learning approach that you exhibit will take all of us further. When we put our hands in our pockets we don’t grow. I find that I have to intentionally choose humility. It doesn’t feel good, at least in the beginning. As time passes, choosing humility pays off. Wow! What a perfect analogy for us leaders in Florida this week. Many opportunities for growth. 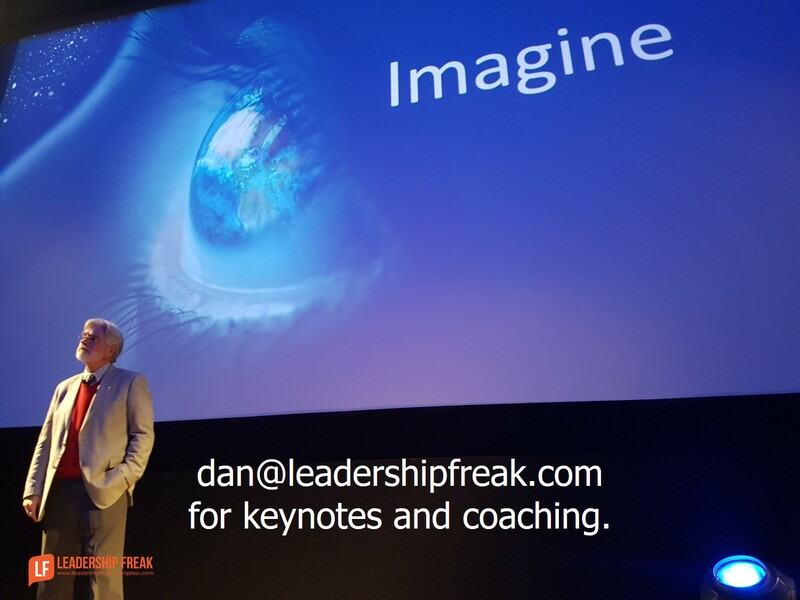 Thank you, Dan! Hi Jordan, Yes! Some of Florida really got nailed. Best wishes as you rebound. Excellent reframing. Useful, as usual. I was reminded of coaching and using a similar scale for navigating the issues of difficulty. It uses the whitewater ratings system for river navigation and might be a second step in your exposition, since not all storms are equal and learning from an easier one is much better emotionally than surviving a major one. There is a learning curve here and a key learning point is the one about perspective. Thanks Dr. Scott. I think after we’ve navigated a few storms we start to get perspective. Perhaps in the beginning we over-react to small storms. That’s a waste of energy and resources. I can see the value of asking, “What rating would you give this situation on the whitewater system?” If it’s a “novice storm” hand storm management off to someone who could benefit from navigating small storms, for example. I’m working on the art of keeping a light hand on the tiller. Fighting the storm is exhausting not only for me, but for my coworkers. ❤ this new lesson! Thanks Ellen. Yes…over correction is a common blunder of navigating storms. Leaders might make a new policy when really a few conversations would be better. One thing is still necessary. When seas are sever, point into the wind and waves. This…. Optimism is an attitude toward storms not an exemption from storms. Storms don’t have to be hurricanes to be disruptive and cause anxiety. Attitude is everything. Another great pearl for my Monday morning! Thanks Vicki. The crew looks to the captain during turbulent times. Panic is contagious, so is courage. There is something powerful that can come with a team from both admitting a mistake and also the reflections, the real life learnings garnered. Modeling both will demonstrate to some that it is ok and inspire others how courageous it is. Humility is an incredibly attractive trait! Thanks Regina. Leaders go first. No where is this more valuable than when it comes to responding to mistakes. Like it or not, most teams respond to failure the same way their leaders respond. When leaders open up, take responsibility, and learn, everyone else has permission to do the same. Hello, Kind Sir! Besides applying the seven traits you just listed and leading with optimism… I also think what attribute is missing and I believe it is gratitude. If I see a leader apply a sense of gratitude even in the midst of difficult and trying times and attempting to find a silver lining I am also more inclined to operate or even LIVE at that level. Gratitude sure changes perspective and I think could make this 7 item list an 8 item list instead. Thanks Dan. I needed this refocus this morning. I bumped into some challenges yesterday by underestimating potential responses of others. This post had added clarity. Another great post. I share these around work.